It is a safe bet that the majority of your marketing materials are visual. You will need to create fantastic pictures to grab the attention of a potential home buyer or seller, or at least the bare minimum of good quality images. 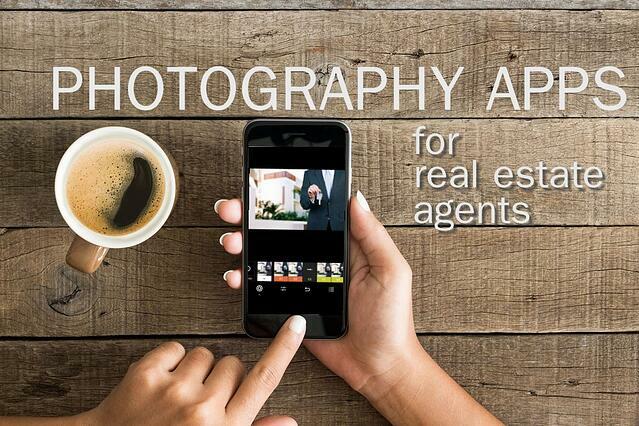 Our recommendation would be to look into investing in professional real estate photography services...but if you prefer to do it yourself, there are a few apps we would recommend. Just make sure to not end up on our real estate photo fails list. We have compiled a list of a few more apps to assist you with your photographic endeveours to make your images pop. If you don't see your favorite app on this list, chances are it might be on the first list. The first round up of apps we compiled was geared towards listing photos (which can impress your seller leads)..with this list we will expand a bit and provide usefull apps for emails and social media. Phonto is an app that allows you to place words onto photos. It is simple, yet produces refined results. 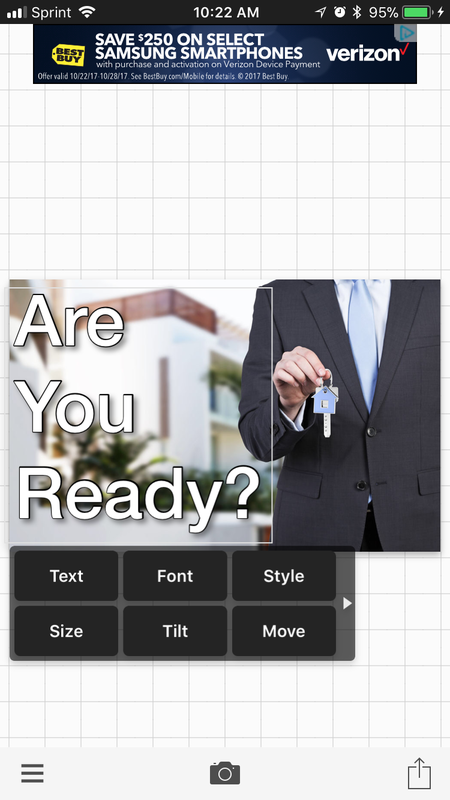 This app can be great for Open House and Listing flyers once you get more comfortable with it. It excels at being a tool for quick and easy social media sharing. Use it as a call to action to get somebody on Facebook to read your blog. Have you ever tried taking a photo at night on your phone, only to have it come out grainy or blurry? NightCap fixes that issue. It is a fanstastic solution for taking photos in low light conditions. If you are going to share some night photos of your city for social media purposes, we would recommend this app. If you would like to showcase the underwater pool lights at night, this would be perfect for you if you decide to take listing photos yourself. This app is fun. If you remember those lenticular 3D images when you were a child, this is similar to that but in digital form. Boomerang is a free app that takes a short 0.75 second video, then plays it back in reverse creating a 1.5 second clip. This app was created by Instagram and is very popular on the platform. We would recommend exploring the "#Boomerang" hashtag on Instagram for inspiration. 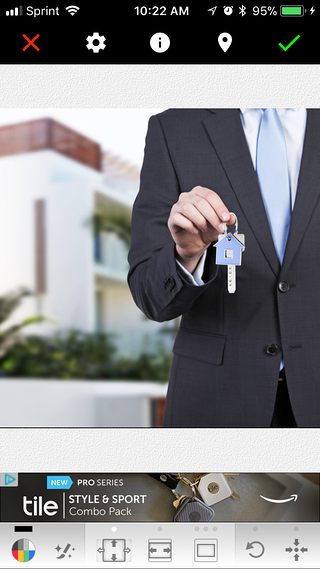 There aren't many uses for listing photos with this app, so keep it to social media platforms. Sometimes you just need to resize your photos. This has been around since before Instagram introduced rectangular image uploads. Most phones now have the ability to crop images, but with Squaredy you have the ability to add "white bars" to the border of your image. The benefit to the white bars is you can add text to your photos! If your MLS has prefers all photos are in landscape orientation, you can use this to add white bars to fit their specifications. Ask any influential instagrammer what apps they use to edit their photos, and 9 out of 10 of them will tell you they use VSCO Cam. VSCO Cam gives you a professional look with many filters to choose from, without going overly "vintage". Some additional filters might cost an extra buck or two...but they work well when establishing a consistent brand identity online when you use the same filter to edit all your photos before uploading. While this is the primary app many instagram users utilize to maintain brand consistency on social media, we can see it being utilized for listing photos to "fix" photos before uploading to the MLS. Splice is a video-editing app that has been around for a while, but is not talked about for some reason. The app is now officially used by GoPro and has some great features that even desktop video editing tools don't have. For example, you have access to GoPro's library of royalty-free music...and you also have the option to edit in Portrait mode. Film makers will cringe at the thought of videos in portrait mode, but it is perfect for social sharing! Speaking of social sharing...if you are not active on this app, please make it a point to do so soon. Instagram is the new Facebook. 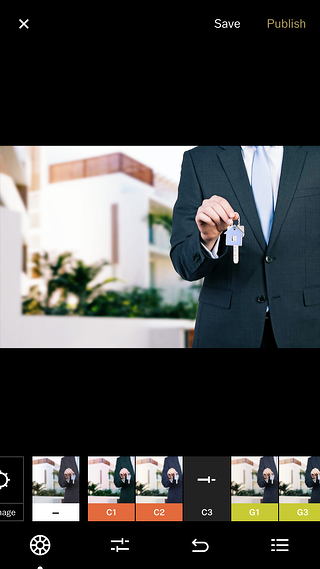 It is good for broadcasting your photos, but also for researching what other successful real estate agents and companies are sharing. Find your competitors on this app, and see what they are doing right or doing wrong. Either way, don't miss out on the massive community and opportunities that Instagram gives you access to.